I always appreciate the chance to dress up and sip something bubbly and last Thursday I had the opportunity of attending the Free From Food Awards in The Round Room of Dublins Mansion House. A gala black tie affair it was full of glamour, good food, wine and craic with a swing band playing us in to the small hours of the morning. I was invited as I had been lucky enough to be asked to judge several categories for the awards and it was a delight to be invited to an event where I knew would be able to eat everything without being worried about it being gluten free. The awards were a show case for all that is best in gluten free food available in Ireland right now and highlighted the fact that we have the product, we just need to work on the distribution. I had not heard about half of the suppliers or their products and I am hoping that having the spotlight of the awards thrown on then the winning products will soon be easily avaialable nationwide. If you have read any of my posts bemoaning the lack of delicate, cream filled, lighter than air gluten free cakes you can imagine my delight when I learned that the Product of the Year award went to Rule of Crumb for their Gluten Free Salted Caramel and Chocolate Profiteroles. Now I just need to try and get my hands on these delicious sounding treats! Pictured at the 2016 FreeFrom Food Awards Ireland, is Emma Clarke Conway, FreeFrom Food Awards Coodinator, Claire Hunter, Rule Of Crumb and winner of Product of the Year, John Burke, Founder, FreeFrom Food Awards Ireland and Maria McHale, Editor, Slainte Magazine. The winners of the FreeFrom Food Awards Ireland 2016 were announced at a black tie gala event in the Round Room at the Mansion House in Dublin, on Thursday 9th June, with awards presented in 40 categories, including the much coveted Product of the Year going to Rule of Crumb for their Gluten Free Salted Caramel and Chocolate Profiteroles and the Innovation Gold Award going to the Foods of Athenry for their ‘Bite’ box. 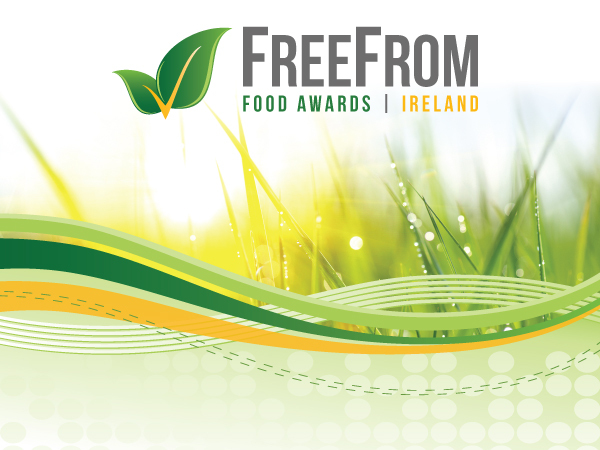 Product Range of the Year was awarded to BFree Foods for their efforts in development in their freefrom range. 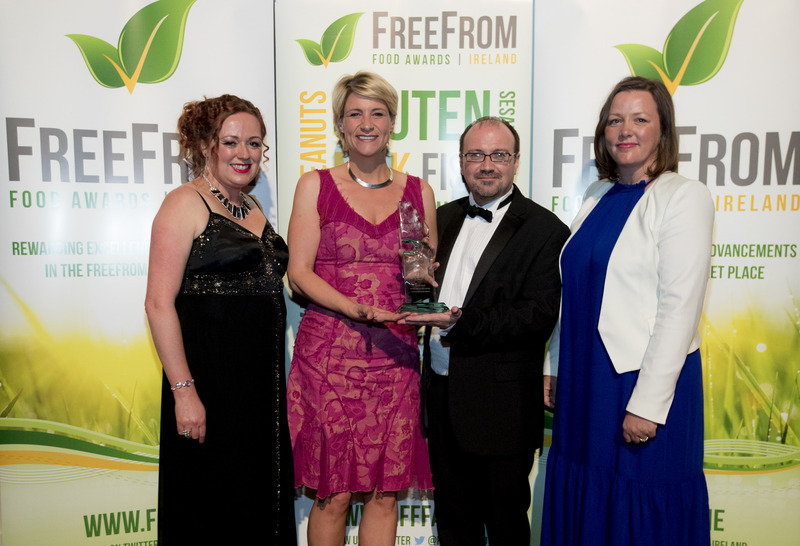 The Awards were presented by founder in Ireland, John Burke, an Irish businessman and coeliac, who has long been involved in the FreeFrom world, both at home and in the UK as a judge at the FreeFrom Food Awards UK and at the Irish Quality Food Awards for a number of years. Along with fellow coeliacs Emma Clarke Conway, Express PR, who has worked in the coeliac arena for over 12 years and by Maria McHale, Editor of Slainte Magazine, also a coeliac. Over 150 members of the FreeFrom industry, including retailers, artisans, producers small or large and many of the judging panels, assembled at the Round Room to find out who had taken the coveted awards. Irish companies made an impression, with over 74% of the awards going to home-produced brands. 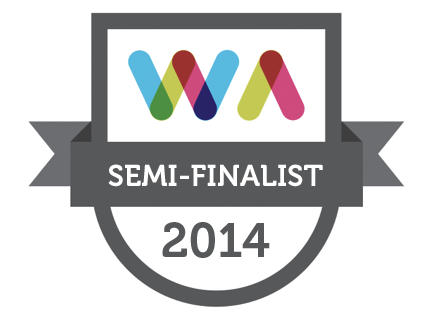 Winners include companies from Sweden, Scotland, England and Northern Ireland. The Special Services to the Industry award, sponsored by Juvela was presented to Founder of the UK FreeFrom Food Awards, Michelle Berriedale-Johnston in recognition of her contribution to the FreeFrom world. This is a unique accolade to the person who has worked to effect change and improvement in the FreeFrom industry, recently or over a number of years.